Take 3 medium or small mixing bowls. In the first bowl, combine the almond milk, 2 tsp. of the hot sauce (reserve the other 1 tsp.) and the apple cider vinegar. Whisk to combine. It will curdle and thicken, that is what you want. Let it sit for a few minutes while you get the rest of the breading ready. In the second bowl, combine the flour, cayenne (either ½ -1 tsp. depending on how spicy you want them) and salt. Stir to combine. Spray a baking sheet with nonstick spray, then place the onion ring on the baking sheet. Repeat the breading steps with all the onion rings. Place them on the baking sheet. When all of the rings are done spray the tops with more nonstick spray. Bake at 450 degrees for 10-15 minutes, flipping halfway through. Baking until they are brown and crispy. 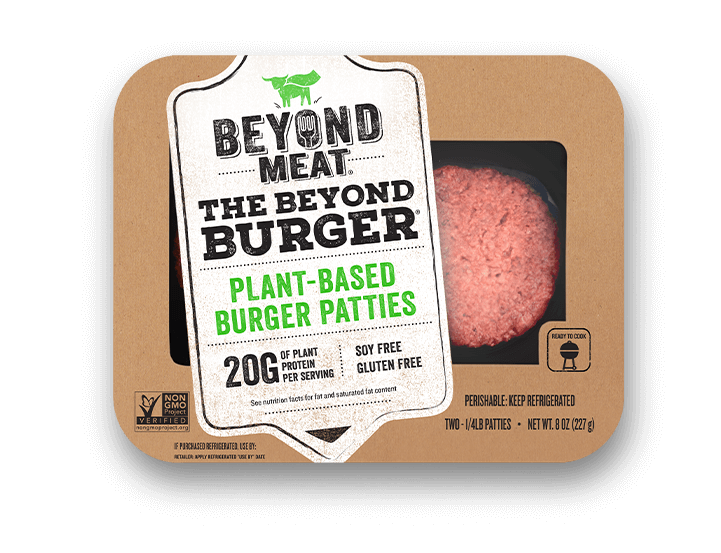 Cook Beyond Burger Patties according to package instructions. Add two American cheese slices 1-2 minutes before patty is finished cooking. 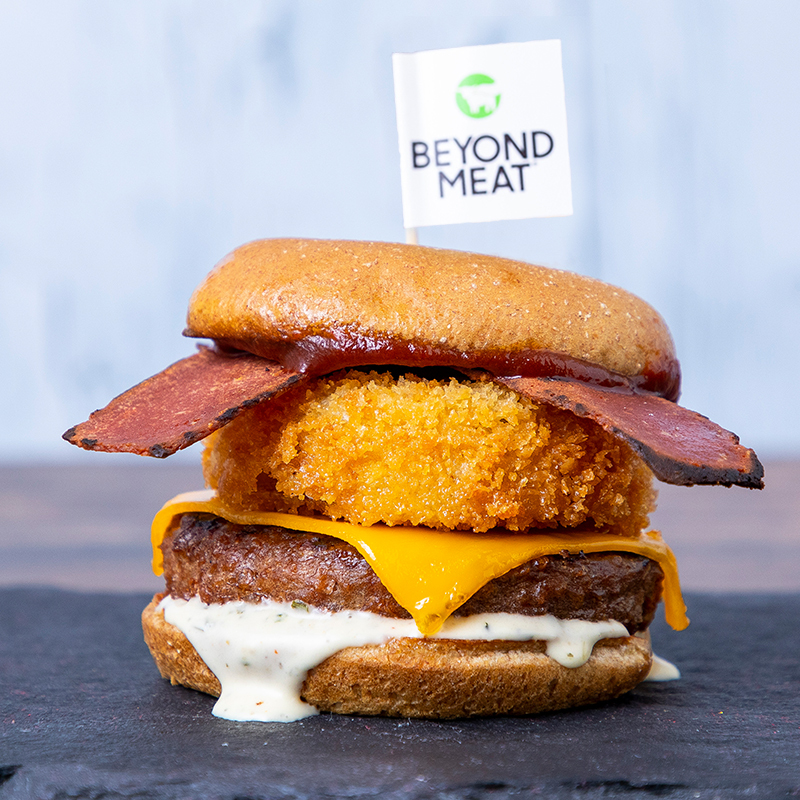 To assemble, top bottom bun with vegan ranch followed by beyond burger patty, onion ring, bacon, BBQ sauce followed by the top bun.